We are back for another review of a classic Most Haunted episode. Now I know that there is some confusion regarding episode number, as some DVD releases had them in a different order, and obviously things are always filmed out of order, so I am doing my reviews purely based on air date according to Wikipedia so if it is wrong etc, don't blame me. If you ever want to catch up on other Most Haunted reviews, just click the Most Haunted tab on the horizontal menu, and everything is there. Also I heard from the original Most Haunted mole over Christmas and they informed me that both Yvette and Karl have been reading these classic reviews, and enjoying them immensely. 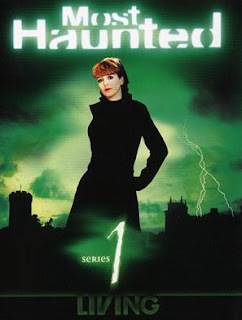 And with that said, we have a young, pretty and unsullied Yvette Fielding, and she has just opened her handbag, and as we look inside we see some kind of buzzing back massager, well I think that is what it is, anyway it has some kind of substance on it, so as I scrape it off, I can see that it is sticky blurbage, and that sticky blurbage is below! 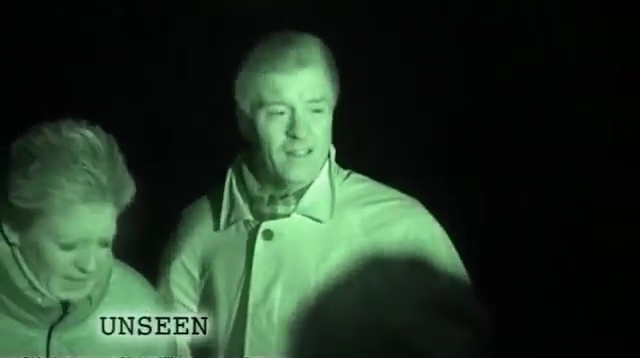 "The Most Haunted team visits Avebury, Wiltshire. Considered by some to be one of the most paranormal places in Britain. The town sits within a prehistoric stone circle. The team investigate The Red Lion Inn, haunted by four ghosts." I am watching the "unseen" version of this episode, which is from the DVD release. We start off with Yvette mysteriously appearing from behind one of the 4000 year old Avebury Stones, she gives us a bit of history and is then quickly stood in front of a pub. Her hair is a mess as you can see, but she does look quite fetching all in black. 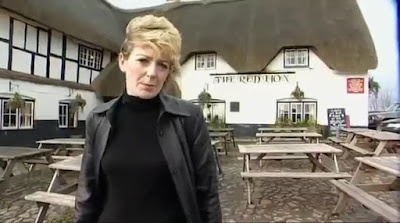 She then tells us about some of the ghosts of the pub, and then starts to introduce us to the crew. She then sits with Jason Karl who thank god has ditched those god awful leather gimp trousers, and is going with a straight forward jumper, black jeans combo. Bizarrely Jason has a few ridiculous gimmicks with him, from the obligatory EMF meter (Useless) and some flour and coins which he is gonna spread about later as a way to catch ghostly foot and hand prints. Yes that is as dumb as it sounds. A ghost can walk through walls, yet will leave footprints. The landlord of the pub is telling us some stories, remember this is a "haunted pub" this is how it makes it's money, by selling space to idiot ghost hunters. 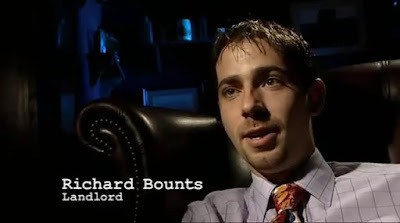 Here is a shot of the Landlord, known to his friends as "Dickie Bounts". We also hear from a retired cellar-man who tells some ghost stories. Jason Karl rightly points out that the people who have seen ghosts are often people who have been drinking. Jason Karl really was a good "para psychologist", he really did point out the more rational explanation even if sometimes his lack of knowledge of basic photographic anomolies would expose him. Derek Acorah has arrived and we get another lovely scene of everyone sat around a big table having food. They are talking about the location, asking questions and generally having a lovely time. Dinner is finished and the investigation begins. Straight away Derek is picking up on the ghosts and calls over the pub manager Dickie Bounts and tells him this ghost lady is following him around. Derek comes up with the name Florence, which we then get confirmed with an on screen graphic. 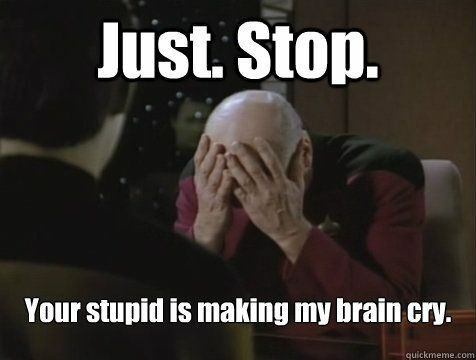 Again I remember how people would get so involved with trying to debunk Derek, searching the internet for records to prove how he could have researched it, or his fans showing how hard it would have been to research it. It was all very intense back in the day between the skeptics and the believers. But as I said in previous reviews most of the time Derek didn't really do much work at all. He would pick up a leaflet on the location when he first came in, or his wife Gwen would and then pass to him. He could then read it in the loo. Sometimes he would just know a place because he had been there before. 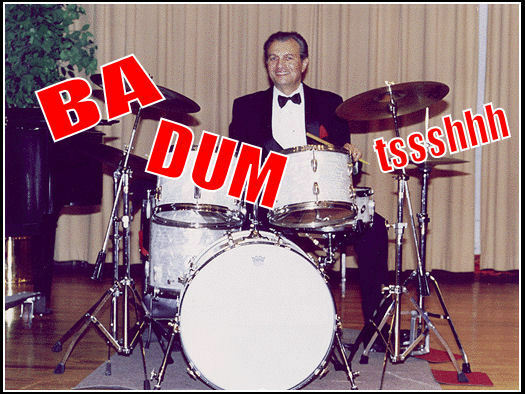 Derek really did just "wing it" on the day. And there was not this huge conspiracy that many people thought. Each episode he would need to remember maybe 4 or 5 names and that is it, everything else was just educated guesswork, cold reading and so on. 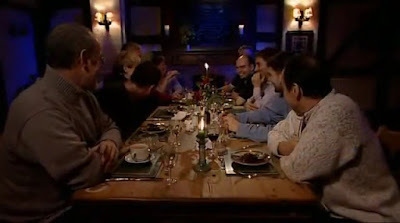 And as Karl got to know Derek more, Karl would often engage Derek in conversation before filming started, and drop a few names, while talking about the location. Back to Derek and he has now come up with the name Arthur, followed by King Edgar. "He is so excited at times, he is like a whirling dervish"
This gets a laugh out of everyone present, this really was Derek at his very best. Derek talks what a lovely little boy this is, followed by a quick change of how he was murdered as part of a sacrifice. Well that escalated quickly. Derek then debunks a legend of Merlin. Derek is saying that Merlin is NOT in any way buried behind some stone structure. Just think about that, Derek is debunking a legend because spirit is telling him so. Truly Derek is the uber skeptic! Derek and Yvette have now entered a bedroom, and Derek starts talking about a virgin ghost. Yvette has the look on her face of "What's this virgin thing you talk of?" I'm not saying Yvette was promiscuous in her youth, no I am NOT saying that. Nope, not gonna go there.... Unlike the local soccer team in 1985. Derek is talking about more child sacrifices. Blimey this is all very depressing. Jason sets up the flour experiment, while the rest of the gang go to investigate the stones during what looks like a mild hurricane. Derek is hearing a spirit chanting, and a circle of women and men. How he can hear anything in this storm is beyond me. Derek talks about the chanting being an encouragement of the elements. Yvette has seen a couple of ghosts! But Derek quickly debunks it as two people with hoods on. Again Skeptic Derek is on fire in this episode. Using his psychic powers for good it seems. It is quite funny watching them struggle in the wind. Clearly Derek knows a bit about these stones as he is talking about about various stories that are in the public domain. Just occurred to me that this is the first ever episode of Most Haunted that does NOT feature a dog. Back in the warm, Yvette has had her hair fixed while Derek is talking about Florence again, but also mentioning a Well. Saying she is in the Well because she was killed, thrown in the Well by 3 men. Yvette has been "voted" to stay in the very haunted private room all by herself, before she goes in, Derek primes her with some spiritual type advice. Very similar to how if you tell someone NOT to think of a pink elephant, that is exactly what they will think about, just like you are now, as you are reading this. So Derek is telling her how to cope if ghosts touch her or sit on her etc. We also get the first use of the "Blair Witch" shot, which then becomes a staple of Most Haunted going forward for the next 15 years. 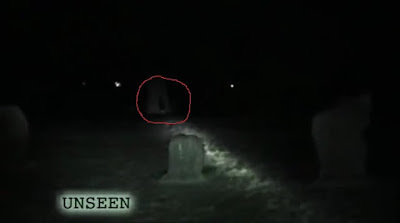 And makes the whole idea of using a video camera on a ghost investigation completely pointless. As expected Yvette is feeling tickling on her head and other sensations. She is putting all her professional acting lessons to good use here, as she manages to force a tear from her eye. Didn't you know she is a professionally trained actress? She gets up, panics a bit and leaves. We are with Jason now and he is alone in a room. He is talking about failing to be scared again, which is blatantly setting up something that is coming up. Jason is orb hunting, and getting a few out of focus particles appear close to the lens, but bizarrely thinks they are some kind of spirit manifestation. I am sure that looking back he will feel very embarrassed when listening to himself talk about orbs as if he is some kind of photographic expert. Back in the day you didn't have Stuart throwing things, or Karl dropping items OFF CAMERA, so you had to rely on orbs as you main source of ghostly activity. Jason panics and leaves the room. In a voice over Yvette tells us that after Jason left the room, Karl went in to retrieve a camera and received two scratches to his neck. Notice how they are in the exact position that a scratch would be if you reached over your own head and scratched yourself. Only episode 3 and Karl is faking stuff like this, I can only think he did it because he knew the episode was really lacking anything physical on the ghost hunting front, a few orbs, and Derek repeating well known stories about a place, does not really make it haunted, but with a nice little scratch, they can now claim physical evidence. Remember back in 2002 people trusted Karl, he was the producer as opposed to just Yvette's Husband, most people didn't even know he was married to her. This whole show was a launchpad for Yvette, so Karl really would do anything to get attention for the show, even if it meant scratching himself on the neck. They decide to all go back to the room to investigate the ghost that scratched Karl. Clearly they didn't like to swear in those days. Derek is taunting the ghost to scratch him, nothing happens. I get the impression here that Derek blatantly does not believe what Karl has said happened to him, and probably thinks that Karl is trying to steal his thunder. There is a sound of a coin or something dropping to the floor OFF CAMERA, they look around but cant see anything, as they film around you notice that Dickie Bounts the landlord is there. Hmmm. We then get one last orb. And Yvette tells us they cant explain it. The flour experiment from earlier had no results, and with that the investigation is over, we now enter the summary interviews. Look at that happy crew, compared to 2017 that is a huge difference. I give this episode a fair 5/10. We did get the legendary Whirling Dervish line, but that really was the only highlight. No dog, no ghost monkeys. Just orbs and Karl scratching himself.